Leadership coaching helps leaders and their colleagues leverage their resources to deal with competing priorities and competitive challenges of organizational life. Coaching is a conversation that helps clients create and adapt to shifting business paradigms by exploring their values, assumptions, and attitudes about themselves and those with whom they engage on their teams, in their organizations and in their communities. leaders in creating and nurturing conversations that foster collaboration, joint action and outcomes that bring about change. Q: How long does coaching take? A: A typical coaching arrangement lasts between six to nine months. Q: What will my coach ask me to do? A: Your coach is your partner and will co-create with you conversations that examine your strengths and possibilities for growth. Your coach is your conversational partner. Using inquiry, challenge and support, you and your coach will fashion together the tools and resources that will help you achieve your goal. Q: What is an ‘outcome’? A: The ‘outcome’ is the goal that you expect to achieve as a result of coaching. When you enter into a contract with your coach, you will discuss the objective you want to achieve. The coach will help you assess where you are at the beginning of the coaching and help you determine what you will need to do to accomplish your desired outcome. Q: Why should I engage a coach instead of taking a class or attend a training workshop? 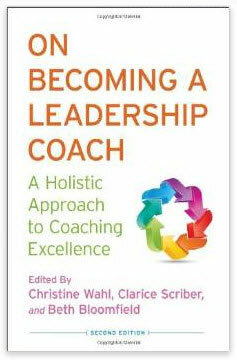 A: The advantage of working with a coach is that coaching is specifically designed to address your specific concerns. Your coach will discuss with you your areas of relative strengths and weaknesses and discover the best way to help you excel with your stated objective. There’s another reason why coaching provides greater effectiveness. Changing behavior, learning a new skill, or reaching the next level of success takes time. Longer-term development creates the space for you to build your capacity to achieve sustained excellence. With coaching, you will have the opportunity over time to practice and build ‘muscle’ in the area that is most important to your leadership and your stakeholders. In that way, you develop your skills incrementally over time. In most training courses, general information is provided and you must figure out how to apply the information to your workplace or situation on your own. Q: How can I learn more about an individual or group coaching program delivered by Clarity Consulting, Inc.?